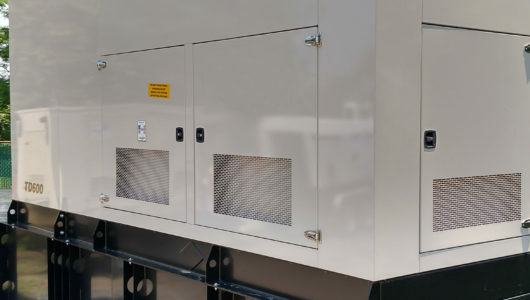 Beyond the basics there is plenty more that can and should be done to ensure your emergency generator is ready for action whenever ground power failures strike your facility. Routine lab testing of engine oil samples will provide insight into what is going on inside the engine allowing for preventative action long before a problem occurs and potentially saving thousands of dollars in repairs. Is your 100kW generator really producing 100kW worth of power? Rather than throwing the switch to your whole building and risking problems with sensitive computer and life-sustaining systems, test the efficiency of your generator in a controlled environment through an isolated load bank test performed by a qualified technician. Remote Monitoring – COMING SOON! Imagine the peace-of-mind in knowing the health and condition of your generator with notification alerts sent directly to your smart phone. More details will be available shortly. In the meantime, please contact us if this is of interest to you. P3 Generator Services is here to not only change the fluids on a regular basis, we want to be YOUR partner to ensuring uninterrupted power at your facility. We believe that taking these preventative actions will go a long way to extending the working life of your generator and it’s ability to perform as you expect it should. Temporary auxiliary power can be provided with quality roll-up generators provided by P3. Replace an aging generator or increase your off-grid capacity with a new unit sized to meet your exact needs. P3 Generator Services is a New Jersey based generator service company that provides maintenance contracts, repairs, rentals, and sales for commercial facilities located throughout New Jersey and the eastern Pennsylvania counties of Philadelphia, Montgomery, Chester, Bucks, and Northampton.